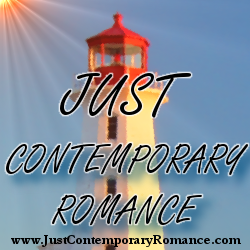 Just Contemporary Romance: What makes that competitive edge enter your veins? What makes that competitive edge enter your veins? In Crazy for the Competition, the hero and heroine are competing for a property they’ve both wanted for years. It was fun pitting them against each other, while also having them have to work together on a float for the town’s upcoming Frontier Days Celebration. When it comes to sports, I’ve never been very competitive—mostly because I’ve also never been very coordinated when it comes to full-contact sports. I was more competitive when it came to getting good grades. Yep. I was that girl. I also competed in dance with my school’s drill team, and I had a blast doing that. So I thought it’d be fun to talk about things I get competitive over—probably even a little too competitive sometimes. Scrabble. Words are my thing, so I hate to lose at this game. And I’m not proud to admit this (ok, I’m a little proud) but when I play with my husband and brother-in-law, who aren’t the best spellers, I use extra letters in my words. Dance. I still get competitive over it. More than that, I love it, and I so rarely get to do it, that when I go to events that have dances, you’ll find me on the floor. I’ve always wanted to have a dance off, actually, and last October at a writing conference in Phoenix, some of us broke into two groups and had an epic dance off. It had me laughing and dancing like crazy, and is one of my favorite memories. The other area I get competitive in is super nerdy. Because it’s with myself. I push myself to break past records for daily or weekly word counts. I like to push my boundaries a bit more. Write something that makes me blush or squirm a bit. So there you have it. What about you all? What makes that competitive edge enter your veins? So much for her "nice, conservative boys" rule. Heath has his own reasons for bidding on Mountain Ridge, and he won't give in without a fight - even to the red-lipped hottie with a sailor's mouth. But when their rivalry shifts into an unexpected zing of chemistry, Heath realizes he's in deep trouble. Because it's inevitable that emotions will get involved, and he needs to keep his eyes on the prize before they both get hurt.